In Beijing earlier this month, thousands of Chinese officials gathered for the annual sessions of China’s two legislative bodies, known as the “two sessions.” So too did hundreds of foreign journalists and observers seeking signs of where the world’s second-largest economy is headed. For both Chinese and foreign observers, this year’s sessions have been grimmer than most: Crackdowns on dissent have been even harsher than usual, and the official economic growth target was set at the lowest level in decades. But as it turned out, the biggest stories in China weren’t unfolding in Beijing. Increasingly, China’s capital is the wrong place to look to understand its future. To do that, you have to look much further south, to the dynamic coastal cities like Guangzhou and Shenzhen that are building China’s future. And it’s a brighter one than it might look from under Beijing’s typically smoggy skies. South China has long been at the forefront of policy reform in China. In 1992, Deng Xiaoping, China’s then-top leader and the father of its economic reforms, abandoned a bridge tournament in Beijing to embark upon what has become known as the Southern Tour. Without it, China’s move toward market economics might have stalled completely: Deng needed the support of officials in southern provinces like Guangdong to attract investment from neighboring entrepots like Hong Kong and Macau, but many were deeply skeptical. Foreign businesses, meanwhile, were still smarting from the shock of China’s post-1989 crackdown, and many saw China as deeply unstable. Deng pulled off a series of reassurances – and south China has never looked back to its centrally planned past. Today, though, the significance of the south for China’s economic future has never been greater, thanks to a development plan known as the Greater Bay Area (GBA), which encompasses Hong Kong and Macau along with the mainland cities of Guangzhou, Shenzhen, and surrounding areas. With a population of some 67 million and an economy close to the size of South Korea’s, the GBA is emerging as one of the world’s great innovation centers, drawing on Guangzhou’s unrivaled manufacturing base, Hong Kong’s financial sector, and Shenzhen’s increasingly sophisticated tech industry. 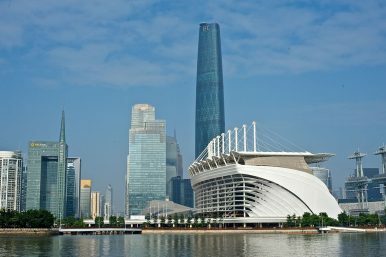 Infrastructure mega-projects like the newly opened Hong Kong-Zhuhai-Macau bridge also promise to make the GBA one of the world’s best-connected urban centers. Other southern regions are meanwhile pursuing some of China’s most progressive policy initiatives: Hainan province recently announced it will become one of the world’s first regions to completely phase out non-electric cars. But it’s in the realm of politics that south China will truly shape the country’s future. In the early 2000s, Guangdong province, which borders Hong Kong, became home to a new, more liberal approach to governance. Its top official, Wang Yang, championed labor union activism, transparency in government, and the rule of law. In 2012, under Wang’s direction, a Guangdong village even held an election that replaced a long-serving Communist Party chief with a local protest leader – a virtually unprecedented development. Wang’s subsequent promotion to the ranks of top officials hasn’t led the “Guangdong model” to spread, as many had hoped. And the test case of democracy in Wukan village had a sad end, after a 2017 crackdown on protests in the village following the arrest of the democratically elected village chief. Yet without similar reforms, it’s hard to believe that a long-term, peaceful solution to Hong Kong’s growing political tension with the mainland can be found – or that the long-term stability of China’s political system can be assured. Beijing, for its part, appears to realize that the south remains central to China’s political as well as its economic future. Late last year, Xi Jinping marked the 40th anniversary of China’s economic opening with a tour of Guangdong that echoed Deng’s. Xi spoke warmly of the region’s breakneck economic growth, and visited factories intended to highlight indigenous innovation, a key priority for China’s top officials. But Xi also clearly tied the region’s development to that of China as a whole – along with the gleaming metropolises of Guangzhou and Shenzhen, Xi pointedly visited the impoverished Guangdong countryside, and pledged to “leave no one behind” in the economy of the future. The highly scripted speeches that make up most of the two sessions provide little reason to hope for a parting of the clouds of state control any time soon. But even in Xi Jinping’s tightly controlled China, the future is being forged far to the south – and we need to look outside Beijing to understand its promise as well as its risks. Scott Moore is a political scientist and Director of the Penn Global China Program at the University of Pennsylvania.